Back in June, Samsung launched an upgraded version of its Chrombook Plus, replacing the ARM processor with a faster Intel Celeron and adding a rear camera. The company has now announced an upgrade to that upgraded version, this time by adding LTE capability. The LTE-enabled Samsung Chromebook Plus was spotted in a Coreboot code commit back in June itself, just days after the Chromebook Plus v2 was launched. The device eventually appeared in an FCC listing last week and has now officially been announced. The LTE variant of the Chromebook Plus is an exact clone of the v2, and retains all of its specs. It is still powered by the same Intel Celeron 3965Y processor, coupled with 4GB RAM, 32GB of solid-state storage (expandable up to 400GB). 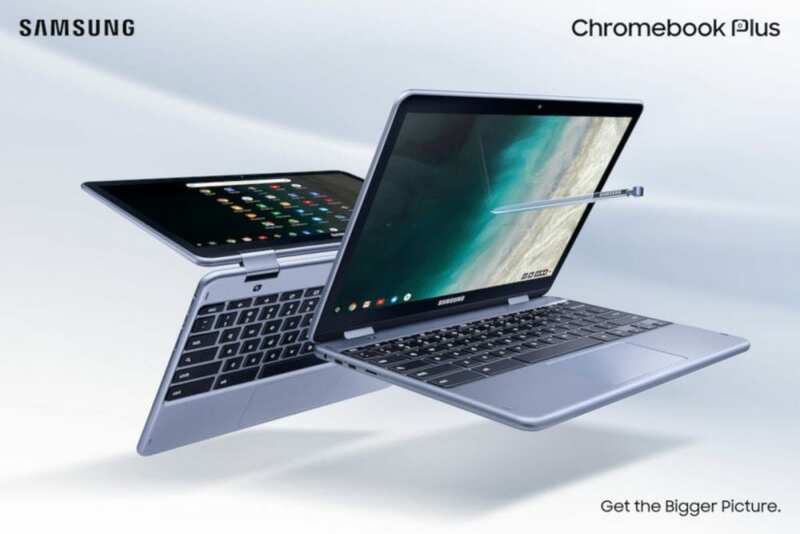 The Chromebook features a 12.2-inch full HD 2-in-1 touchscreen display (1920×1080 pixels), and houses a 39Wh battery. The device is 360-degree rotatable and comes equipped with a 1MP front camera and a 13MP rear-facing camera. You also get a stylus, two USB-C and one USB 3.0 ports. And lastly, the keyboard still isn’t backlit. The LTE-enabled Samsung Chromebook Plus is priced $100 more than the one without. The new device will cost $599, while the one sans-LTE is currently available at $499. It will be available November 2 onward at Samsung’s own online store, Best Buy, and Verizon, which is a launch partner for the device. Samsung is yet to specify the exact networks and bands supported. Chrome OS is widely being regarded as an ideal platform for on-the-go usage. However, lack of LTE-enabled Chromebooks has somewhat hindered those claims. 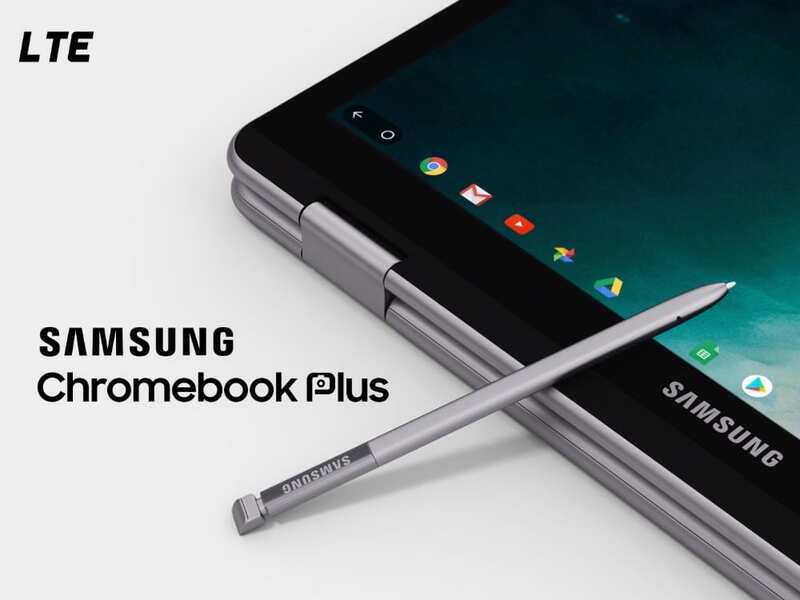 Now with Samsung launching its Chromebook Plus with LTE support, we might very soon see a number of OEMs following the suite. Google also recently announced its first Chrome OS 2-in-1 tablet, the Pixel Slate. It has similar features and costs the same amount, but it doesn’t come with LTE.